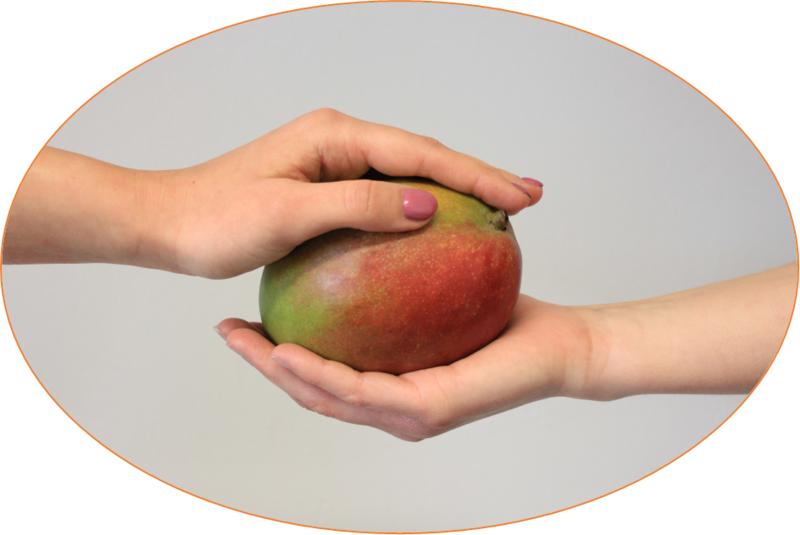 Mangomoments are small, unexpected acts or gestures, which are of great value in the care experience of patients, residents, family, and health-care professionals. They take place during normal care activities and are different from events like Make-a-Wish or visits by celebrities to hospitals. More information about Mangomoments can be found below or on the blog of Prof. dr. Kris Vanhaecht. How did we get inspired by Mango’s? Two months after waking up from coma in intensive care, Viviane described how hard it was lying in bed all the time, what the sound of the bedside alarms did to her, what the gray ceiling looked like, how she heard the voices of deceased family members and saw them standing next to her bed, and why she thought about euthanasia,… Her reflections were captured on a documentary by a journalist, Annemie Struyf, who stayed for two weeks as an observer at an intensive care unit in a major teaching hospital (UZ Leuven), and who was clearly emotional as she was touched by Viviane’s story. Following a tense silence, the journalist asked: “Is there something I can do now for you, that would make you happy?”. Viviane’s answer was surprising … “a mango, I would really like to taste a mango again, that is what I really like”. At the last day of her observation, the journalist brought Viviane a mango. Viviane was touched and became emotional, expressing that she “will never ever forget this moment” (Via Annemie, 2015). Why did this emo-moment at Leuven ICU confuse us? The documentary confused us. How was it possible that none of the healthcare workers had asked her this basic question: “What can I do now for you, to make you happy?” And how can a “mango” give a patient such an unforgettable moment? We got in touch with the journalist, informed her about our work on quality, patient safety and second victims and asked her if the scene was set up or that it just spontaneously happened. “Of course it was spontaneous, it just happened, there was positive chemistry between us” the journalist replied. A year later, we have finished the pilot phase of the “in search of Mangomoments, from never to always events” campaign within oncology. With the support of Kom Op Tegen Kanker (Stand up to Cancer), the effort has yielded over 200 Mangomoments-stories, provided by cancer patients, family members and healthcare professionals. They bring happiness and joy. How is “Mangomoment” defined and can these examples help you to understand our concept? Mangomoments are small, unexpected, surprising, nearly unnoticeable acts or gestures during daily care activities, which are of great value in the care experience of patients, residents, families and/or healthcare professionals. They happen during normal care activities and are different from events like “make a wish” or “VIPs visiting the children’s hospital”. The following three examples serve to illustrate: 1) the story of the lady who was just diagnosed with breast cancer and her physician came to her room at the end of his working day, without his white coat, just to be with her for five minutes and listen to her or 2) the story that was told by the director of a nursing home who was asked to take a picture in the snow of two residents in love – a photograph that became their Christmas card or 3) the story of a lady who told us that her Mangomoment of the day was the arrival of the housekeeping lady, because she was the only one not asking questions about fatigue, pain and nausea but chose to share the daily news from the tabloids in a normal, everyday kind of conversation. Are Mangomoments linked with “micromoments of positive resonance”? Dr. Barbara Fredrickson, professor of psychology at the University of North Carolina, argues that people need to get essential daily nutrients, not only from food, but also from a laugh, a hug or even a smaller moment of positive emotion, especially with someone with whom they click, as they open themselves up to one another and connect. The kinds of nutrients found in the “positive chemistry” as described by the journalist. These micro-moments of positive resonance build bonds, weave the social fabric that creates our communities and promote health (Fredrickson, 2013). Peter Pronovost states that we should actively search for micromoments of positive resonance and they should expand to how clinicians treat one another as well (Pronovost, 2016). In our recent work on second victims with clinicians involved in adverse events, we found that an open, non-blame, culture and personal positivism play an important role in the aftermath of such an event (Van Gerven et al., 2016). Second victim symptoms like hypervigilance, fear, stress, shame, doubt and flashbacks, do not help clinicians in openly disclosing the events and restore trust. This lack of openness and communication makes clinicians feel uncomfortable towards patients, family members and their own team members. Having positive care experiences can make clinicians more resilient and enhance their work engagement. What has Dame Judy Dench got to do with Mangomoments? We still wondered if it was a coincidence that Viviane asked for a “mango” during her ICU stay. In October 2017, Dame Judy Dench, the actress and Academy Award winner, better known as “M” in the James Bond movies, appeared in Victoria & Abdul, a movie on the friendship between the empress and her Indian clerk. As their friendship deepens, the queen begins to see a changing world through new eyes, joyfully reclaiming her humanity. When Victoria and Abdul are walking through the park and Victoria asks “A mango, what is it?”, Abdul answers “The queen of fruit! In India, gifting a basket of mangoes is considered a gesture of friendship. The sacred mango tree is a symbol of love.” The movie trailer concludes “A queen for a queen. Abdul Karim, introduced Victoria to the mango, and made the world a little sweeter”. Maybe it is time for healthcare to make Mangomoments more objective and discuss them during interprofessional briefings. It will bring happiness to patients and families and perhaps they can decrease burnout by enhancing engagement and Joy in Work (Perlo et al, 2017). Maybe even high impact scientific journals should launch next to editorials & viewpoints, a section on “Mangomoments” and help us to make healthcare a little sweeter. This is based on the recent perspective of Prof. dr. Kris Vanhaecht in Lancet Oncology and the Blog atKULeuven BLOGT. Fredrickson, B. L. (2013). Love 2.0. New York: Hudson Street Press/Penguin. Perlo J, Balik B, Swensen S, Kabcenell A, Landsman J, Feeley D. (2017). IHI Framework for Improving Joy in Work. IHI White Paper. Cambridge, Massachusetts: Institute for Healthcare Improvement.